To collect is a fundamental human trait but we must collect what we love and learn as much as we can. View highlights from extensive personal collections in our 'Collector Spotlights'. "Learn to tell real from fake. That’s my number one concern. So many collectors have spent a lot of money building collections with hundreds of fakes!" I had the pleasure and the honour of being asked to collaborate on the preparation of this important exhibition. 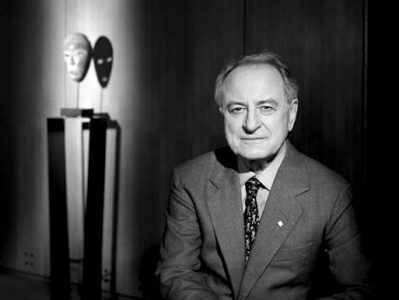 The following presentation, which accompanies the event, is the result of the joining of forces between those that knew and appreciated Ezio Bassani. 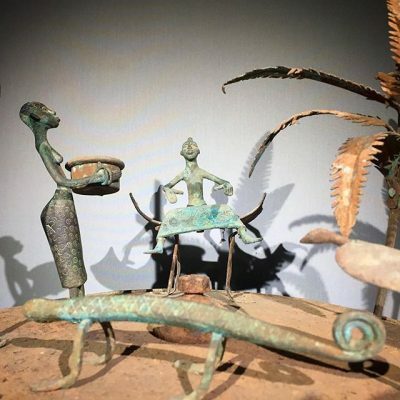 As the debate about the restitution and repatriation of looted African artworks and cultural artefacts rages on, we chronicle the timeline of events that have and continue to shape the question, should Western museums send back looted African art. 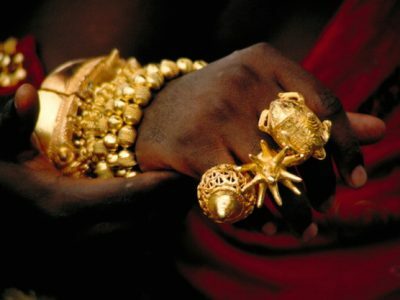 The appreciation of West African gold objects is based on their richness of form and highly sophisticated craftsmanship. We delve into the skill involved in making royal Akan gold ornaments by reviewing works from the Hartmann Collection. Discover who today’s collectors of African art are, what they are buying, and how they think the market will evolve over the next few years in ÌMỌ̀ DÁRA's 2019 State of the African Art Market report. Nathan Mabry’s work transforms the known into the new and the unexpected. 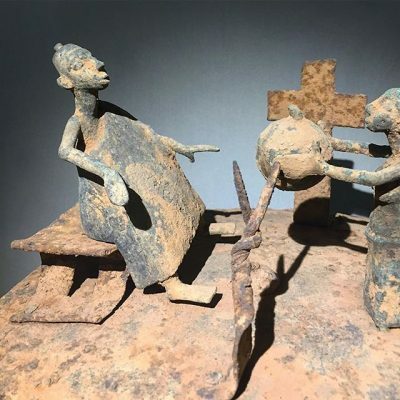 Mabry melds classic African art with the contemporary, producing works in wood, plaster, and clay that satirise modernist derivates of historical works. Through his work, Mabry questions the narratives of progress that frame the history of Western art. 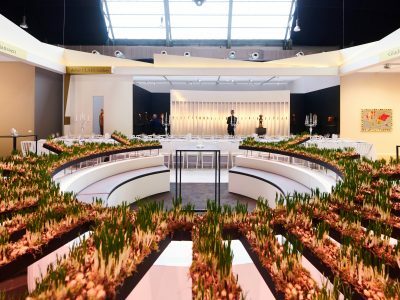 BRAFA 2019 closes this weekend. Here's what to expect at the fair this year. "Young collectors need to exercise patience. They do not need to create their collection in six months, it doesn’t work like that. Collecting should be a lifetime passion, there’s no need to rush. Take your time, have fun—there’s nothing more rewarding." 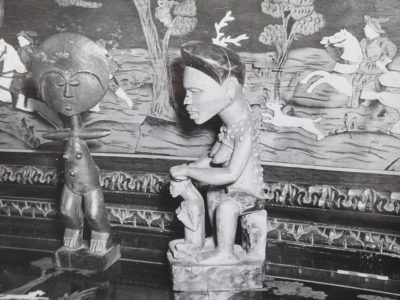 Many have bemoaned the label 'African Mona Lisa' used to describe Ben Enwonwu's 'Tutu'. 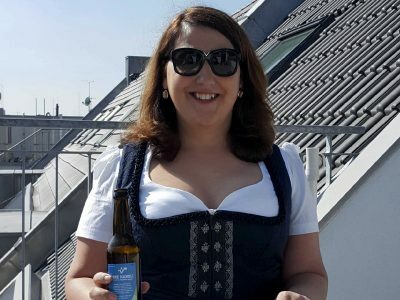 But is it a justified appellation? Sandro Capo Chichi investigates. 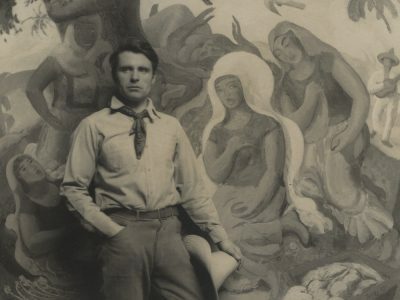 Leon Underwood was the father of British modernism, tutor to Henry Moore. 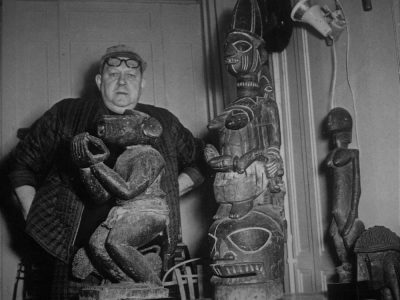 But did you know that he collected classic African art too? 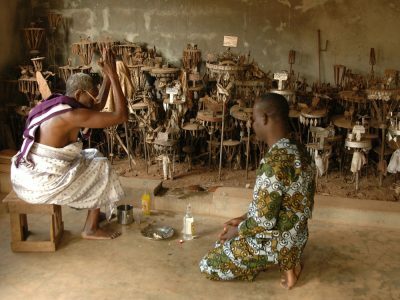 We provide a preview of the exhibition, Asen: Mémoires de fer Forgé - Art Vodun du Danhomè in this two-part article. 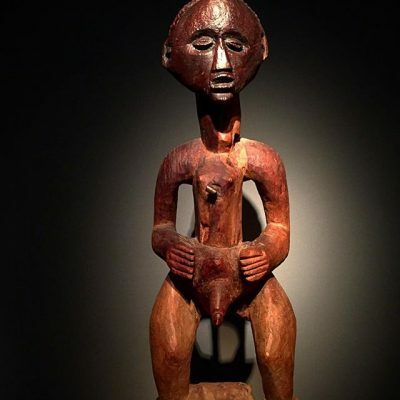 Part II explores these stunning works, both individually and in core artistic groups that represent key examples of these arts from the southern West African area of Benin Republic. 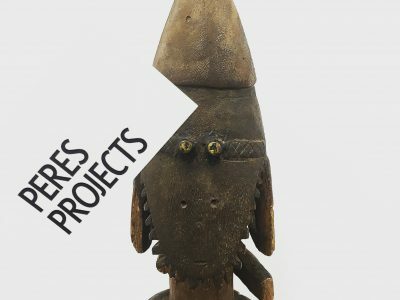 We provide a preview of the exhibition, Asen: Mémoires de fer Forgé - Art Vodun du Danhomè in this two-part article. 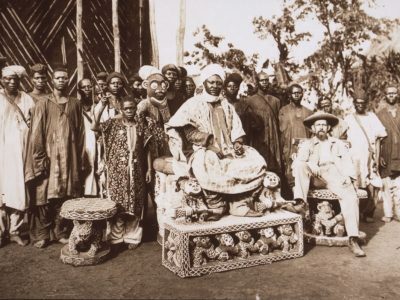 Part I explores questions of use, the history of these arts, the political changes that occurred in Dahomey in which asen featured prominently, and how asen help us to understand the changing relationships between local residents and Europeans in the pre-colonial and colonial era. In praise of clay, terracotta, stone, and soil, we explore the allure that ‘Earth’ once had. 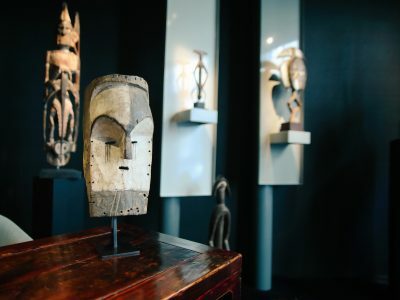 Pierre Bergé's estate, including his collection of African art, is coming up for sale at Sotheby’s, and the estimates caught our eye! 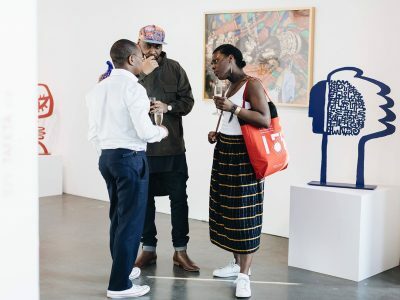 Remember at the start of the year, when we said that contemporary African art is the darling of the industry? 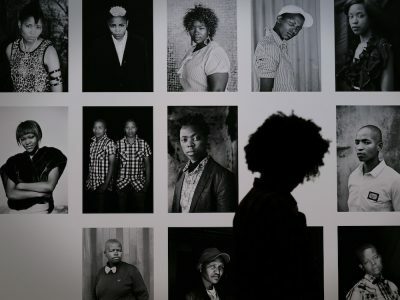 Well, if this year's 1-54 Contemporary African Art Fair is anything to go by then we were right. 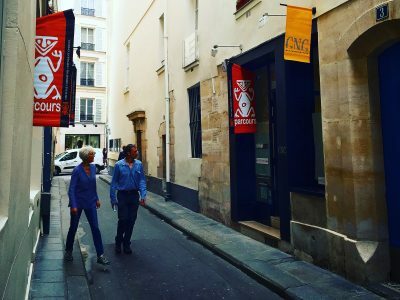 The autumn African art season of 2018 kicked off with the 17th edition of the Paris art fair, Parcours des Mondes. We asked this year's fair visitors to share their highlights from the show. 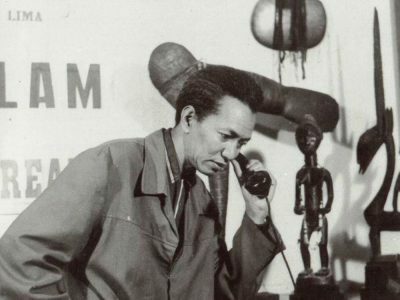 Cuban artist Wifredo Lam was a frontrunner of a cross-cultural state of style that subsumed Western modernism with African and Caribbean symbolism. 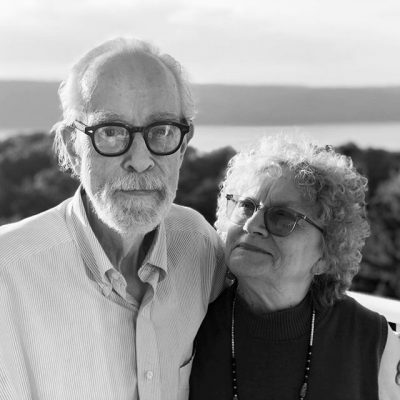 His search for an artistic standpoint brought him in contact with the avant-garde movements of his age, movements that all had great significance in his work. Ritual objects express the philosophical and aesthetical maxim of life. Ritual performance functions as a framework that enables entrusting one’s self to the unexpected, uncharted way of 'traumatic' reality in which the sublime emerges. 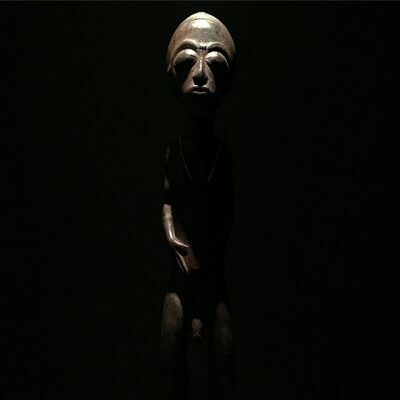 "In the exhibition were three small Fon bocio figures. They had a kind of mystery that I had been trying to bring into my own work. 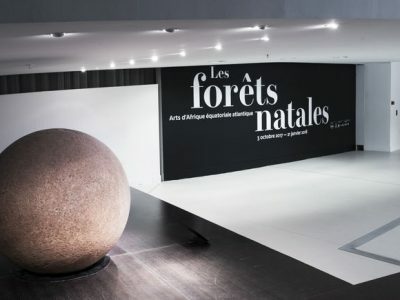 Seeing the Fon figures was one of those moments when the lightbulb went off in my head." We asked eight collectors to share their favourite books on African art to help you decide on your holiday reading. 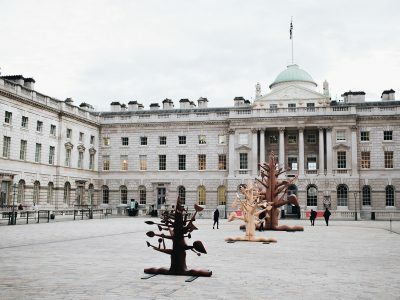 "With bocio figures, one can always see the wood. If the whole piece is ‘sacrificed’ from top to bottom (and even underneath), then you can be almost certain that it is a fake. A natural sacrificial patina is built up, little by little, over time." Christie’s Paris will present the collection of Liliane and Michel Durand-Dessert. 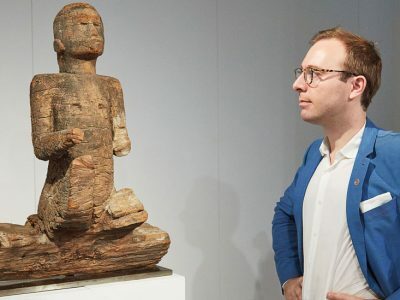 Bruno Claessens, European Head of African and Oceanic Art, explains who the couple is behind the collection and why this sale is not only unique but also important. Primitive, tribal, ethnographic, fetish. 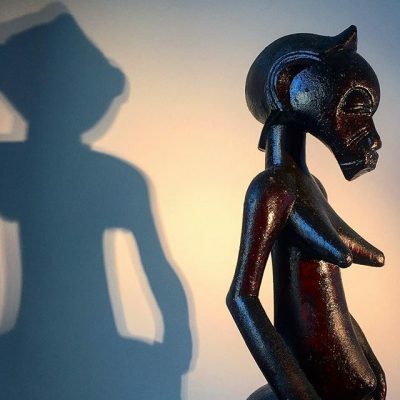 Where did these terms originate and what should we call art made by African artists in the past? 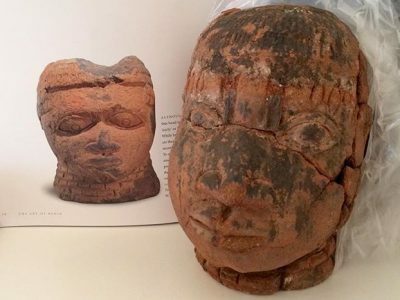 The Sindika Dokolo Foundation identifies and recovers six additional works stolen from the Dundo Museum in Angola. 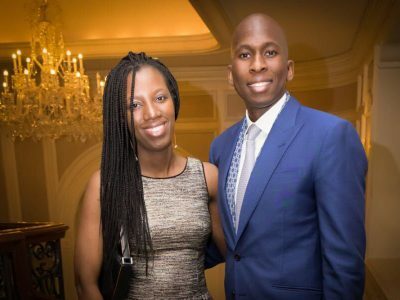 Find out what the foundation has been up to since we last spoke to Sindika. 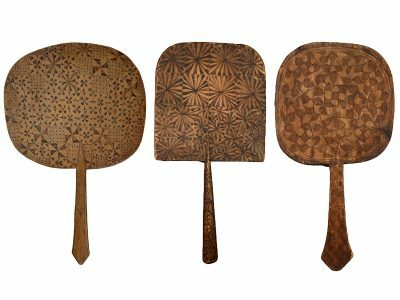 Learn why Ibibio wooden fans, objects of daily use, should be considered art. 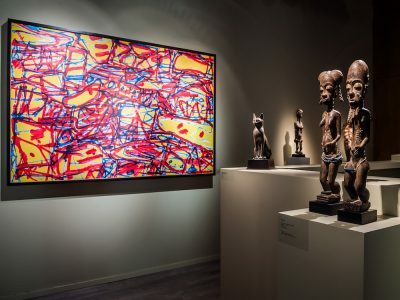 For the first time, the private collection of Pierre Dartevelle, the internationally renowned African Art dealer will be on show at Lempertz. 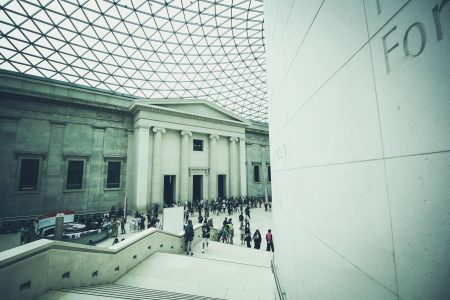 We preview some of the major works that will be on display at the exhibition. 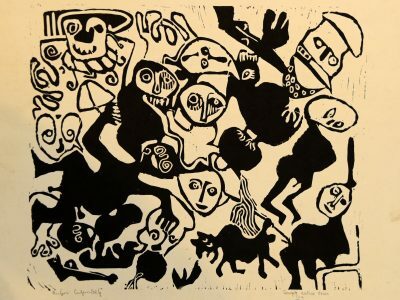 The Dutch artist Guillaume Cornelis van Beverloo (Corneille) found inspiration for his work in classic African masks and figures. Learn how his style evolved and what his collection consisted. 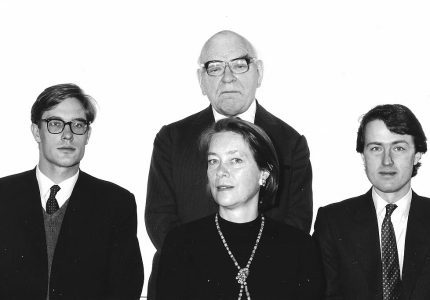 Hermione Waterfield joined Christie's auction house in 1961 and created the dedicated 'Tribal Art' department in 1975. 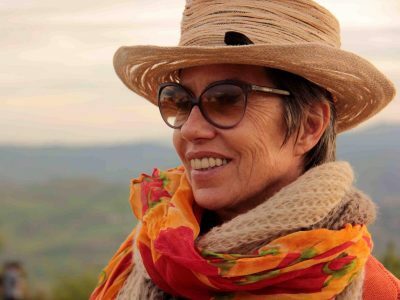 Read how Hermione came to create the ‘Tribal Art’ department and her thoughts on the evolving market. Hank Willis Thomas’ ‘The Beautiful Game’ explores the intersection of art, sports, geopolitics, and modernism’s debt to traditional African art. We spoke with Hank to learn more. 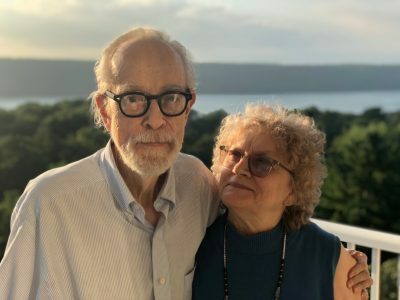 "When we eventually had the means, we were so eager to make the connection between our upbringing and an art collection, especially photography. From that first piece in Gabon, to where we are today, I’d say that we have a very eclectic collection from artists from around the world yet with a focus on photography from the African Diaspora." Provenance. Everyone talks about it but how many really understand it? 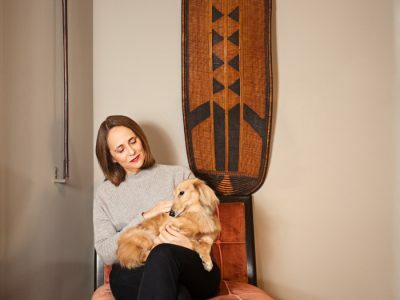 We spent time with Hermione Waterfield, founder of the 'Tribal Art' department at Christie’s, to learn what 'good' provenance is. 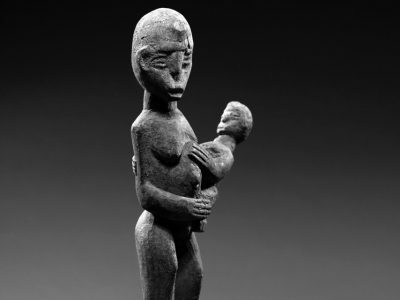 Mother and child imagery is prevalent on the African continent. Maternity images are used by everyone, from commoners to diviners, priests to kings—varied objects used in everyday and ritual life. Learn more about portrayals of mothers and their children in this preview of 'Maternity: Mothers and Children in the Arts of Africa'. 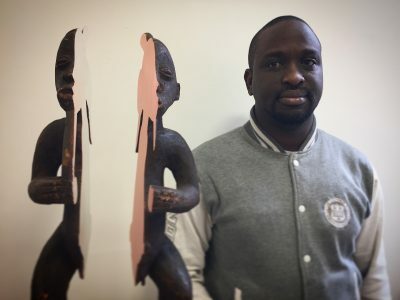 Born in Benin, growing up in Cameroon, and now working between Paris, Brussels and Cotonou, Dimitri Fagbohoun's work questions what it is to be 'African'. Fagbohoun reflects on his background and history, straddling geographical and artistic boundaries. 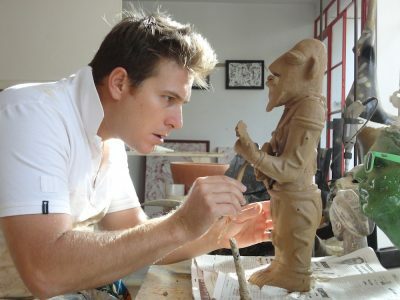 Learn how Dimitri interprets classic works of African art. 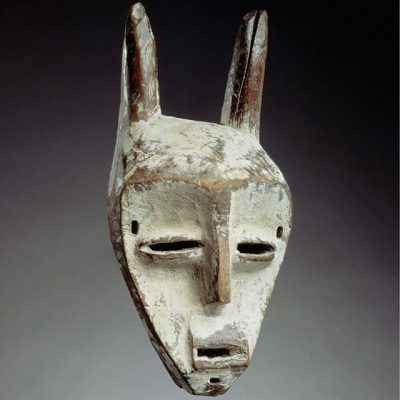 This exhibition, at The Nelson-Atkins Museum of Art, explores Pablo Picasso’s life-long fascination with African art. 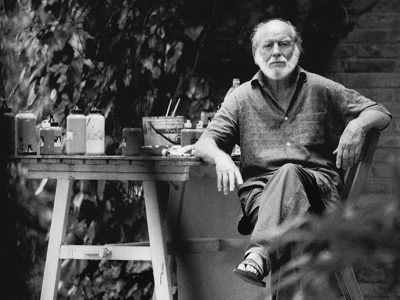 It unites his paintings and sculpture with art that fuelled his own creative exploration. 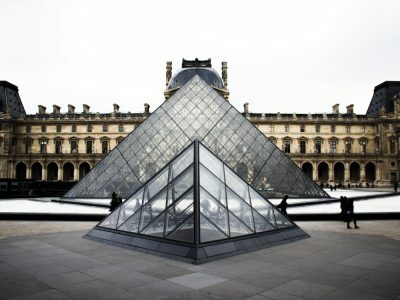 See works that Picasso collected, lived with, and kept with him through numerous studio moves. 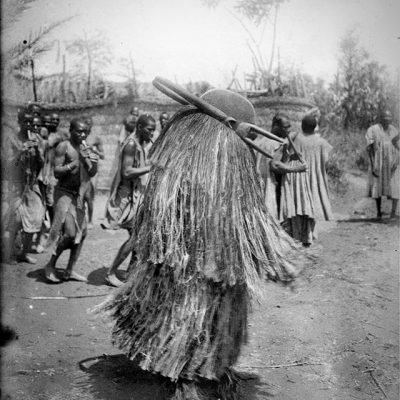 At the end of the colonial period, the Tiv of Nigeria invented the Kwagh-Hir masquerade to reaffirm their traditions. 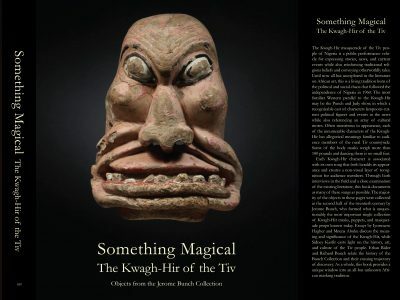 The Jerome Bunch Collection, assembled over many years and exceeding 1,000 pieces, is one of the largest collections of Kwagh-Hir material in the world. 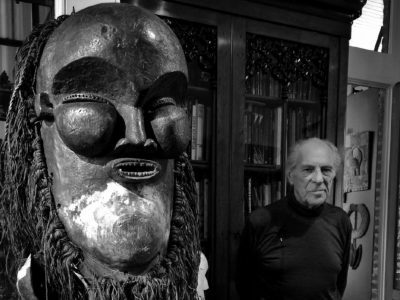 Get a preview of the new book featuring Jerome's collection. 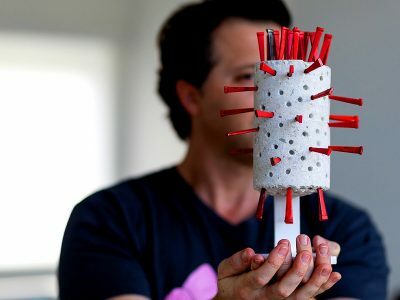 "The mistakes that I made were collecting purely impulsively and not really studying and comparing and doing the legwork. Because early on, not doing the preliminary steps can be very detrimental. 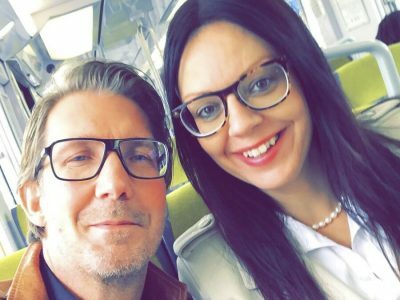 Late in the game, now, I can make a really quick decision on something and the likelihood of me screwing up is a lot less." 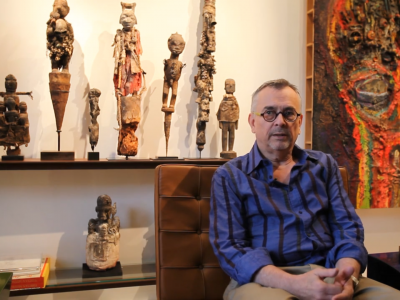 When asked why he collects African art, artist Robert Jacobsen said, "I have always been interested in art related to magic. It invites the imagination..."
BRAFA 2018 is now in full swing. Here's a preview of what to expect at the fair this year. Discover who today’s collectors of African art are, what they are buying, and how they think the market will evolve over the next few years in ÌMỌ̀ DÁRA's first State of the African Art Market report. The Lobi people of Burkina Faso are one of the most interesting in Africa. 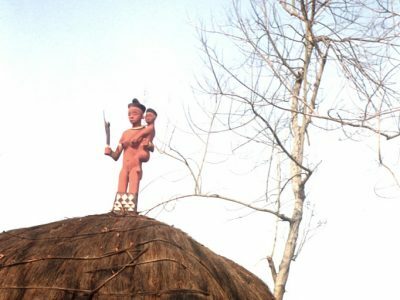 Their belief in nature spirits and gods still exists today as does their authentic, varied and very individual representation of maternity figures. 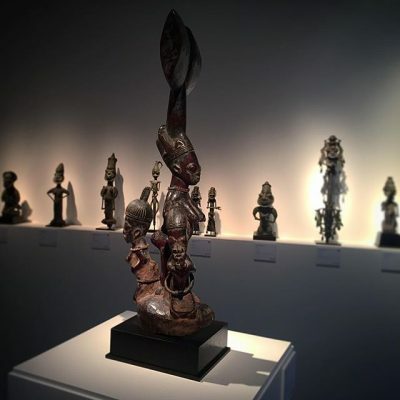 The youngest of the Fakeye family of carvers, Lukman Alade Fakeye, son of Akin Fakeye and nephew of Lamidi Fakeye, continues the carving legacy by creating contemporary versions of traditional Yoruba art. 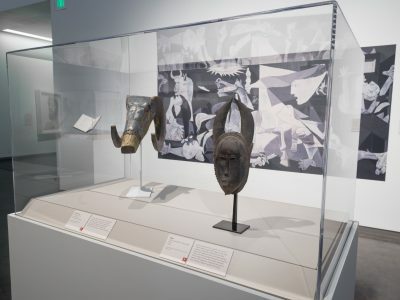 'Visionary: Viewpoints on Africa's Arts', the National Museum of African Art’s new permanent collection installation curated by Kevin D. Dumouchelle, Christine Mullen Kreamer, and Karen E. Milbourne, represents the broadest possible range of Africa’s creative visual expressions. Featuring over 300 works of art, 'Visionary' takes as its central premise the primary activity, of 'looking'. 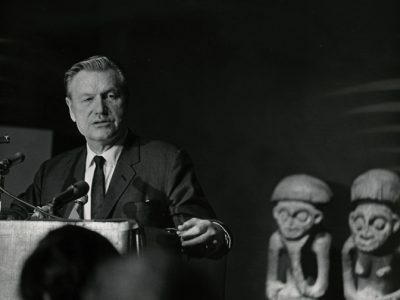 Carl Kjersmeier was a passionate collector of classic African art. He devoted his life to not only collecting art but strived to understand the work processes of the artists that created these objects. Learn about the life, journey, and passion of this poet at heart. "The most important piece of advice is to see and touch as many pieces as you can. Train your eye and you will begin to see the differences sooner or later. Then you will see pieces and know, that one—no, that one—yes!" "Be passionate about the work you collect. 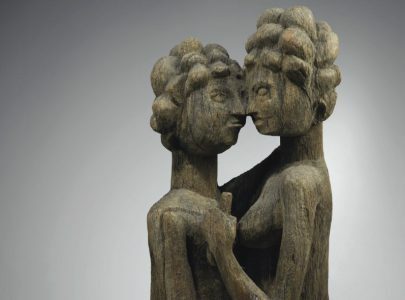 Don't only look at the provenance of an object but also consider its artistic qualities. There is no masterpiece waiting for you on eBay….so buy from trusted sources. Share your passion with other collectors, get as much information as possible about an object, before you acquire it." 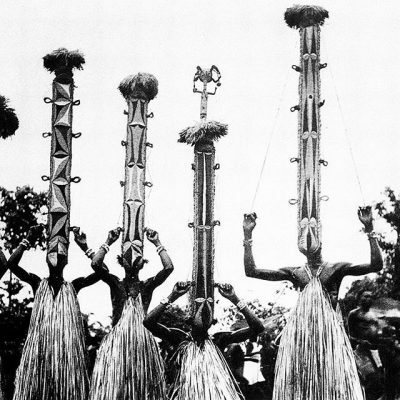 The Oṣogbo art movement took root in the early '60s, paving the way for a new generation of modern Nigerian artists. 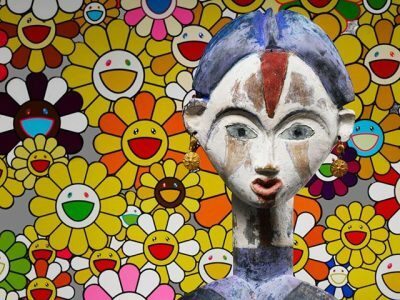 Learn how some of these innovative artists evolved traditional Nigerian culture into modern art. 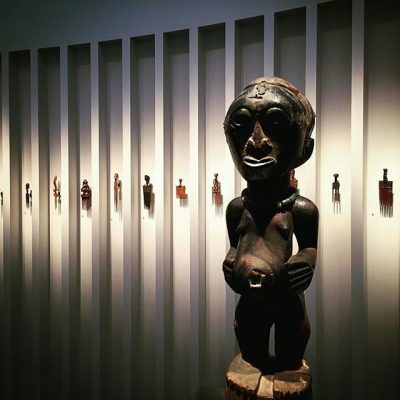 An exhibition at the Musée du quai Branly - Jacques Chirac looks at the principle artistic styles of the cultural groups from southern Cameroon, Republic of Equatorial Guinea, the Gabonese Republic, and west of the Republic of the Congo. 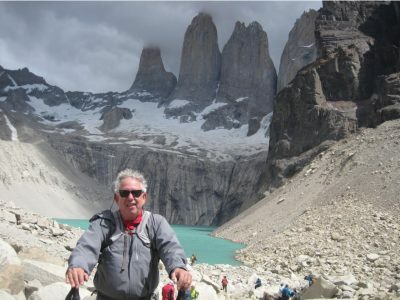 Father Joseph Cornet has been described as a man devoted to study, teaching, and art. 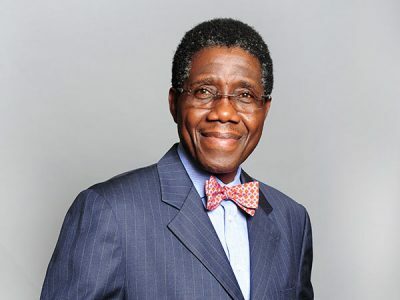 Based on his time and experiences in the Democratic Republic of the Congo, spent with chiefs and as director of the Institut des Musées Nationaux du Zaïre, he has authored a number of books on classic art from Africa. Learn about J. 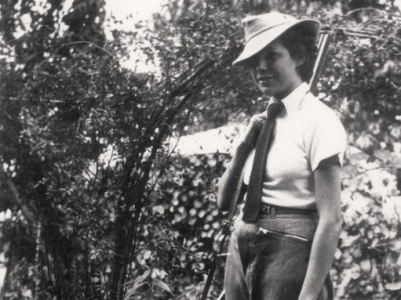 A. Cornet’s work, life, and research. "I now collect two types of beads from Africa; those that either have a history—ancient glass beads—and beads that are used in rituals by African traditional healers, or in animistic rites. 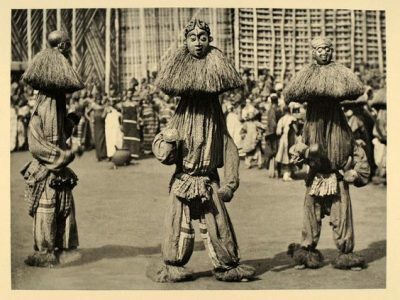 I discovered those functions of beads in West Africa, and I started documenting those uses, bead by bead." Another year, another Parcours des Mondes over but boy what a show. Revisit some of the masterpieces and highlights from the fair. 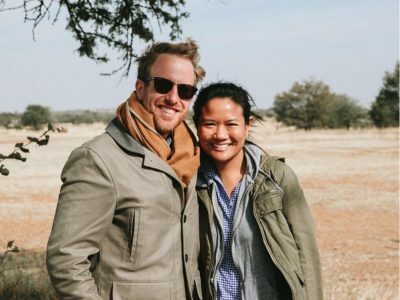 Parcours des Mondes is over but the magic lives on for these two first-timers! 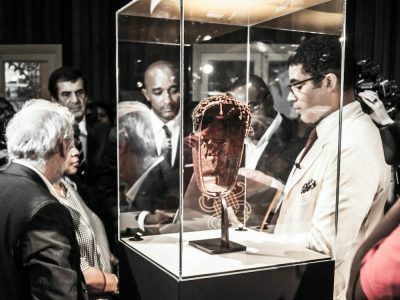 Relive the experience of attending the world's best fair for Classic African art through fresh eyes. 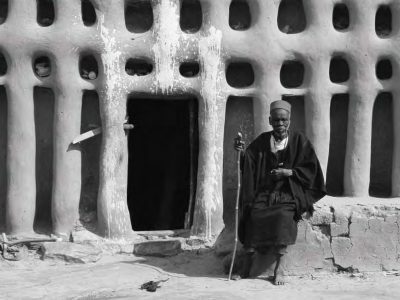 Dogon architecture, culture, and art has fascinated the West since the early twentieth century. Dutch photographer, Huib Blom's 'Dogon—Images & Traditions' sheds light on the landscapes, architectures, and art of the Malian ethnic group. What's more, the book is now free to download! Knives from Africa don’t resemble knives from anywhere else on the planet. Today however, the manufacture of reproduction weapons has increased. 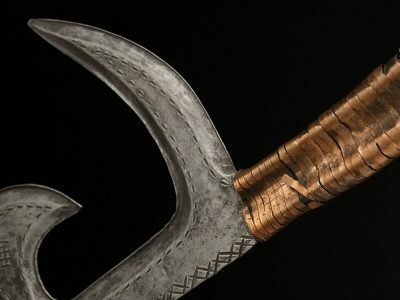 Learn what 'fake' is and how to spot inauthentic African knives. September 2017 will see the publication of 'Africa, in the shadow of the gods', a book about the incredible history of the Congregation of the Holy Spirit in African over the last three centuries. 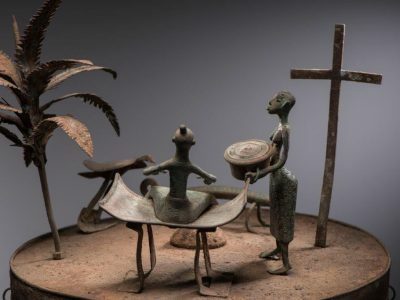 Never-before-seen classic African art masterpieces from the Congregation's collection are exposed for the first time. 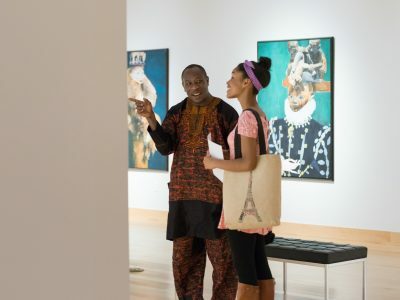 We've curated a list of 10 museums that regularly post images of African art masterpieces in their collections, keeping us in the know about recent acquisitions and events. 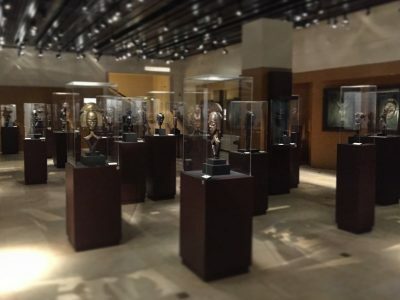 Here are the museums with collections of stunning classic African art. 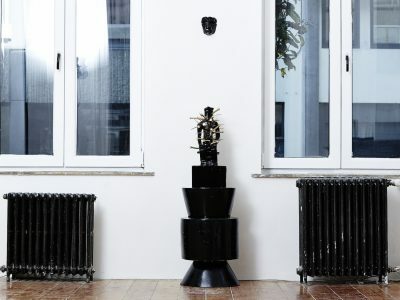 South African born, Belgian artist Kendell Geers, uses art to challenge notions of identity. We hear from Kendell, in his own words, how classic African art has inspired his work and helped him question and define his identity. 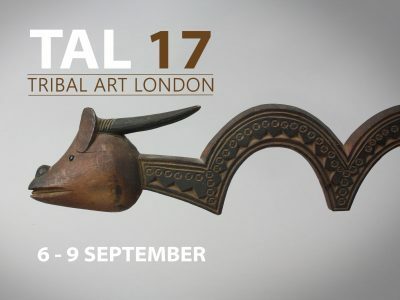 September 6th will see the return of Tribal Art London, signalling the start of the autumn African art season. We asked ten dealers to each share the one African art piece they believe visitors will be excited about. 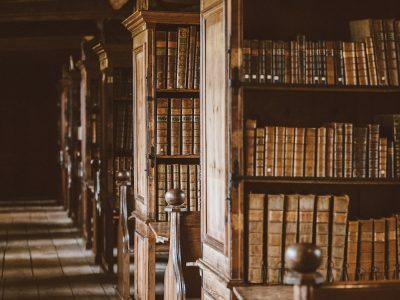 To get you daydreaming during your holidays, and to prepare you for the African art fairs and auctions coming up in September, we've compiled a list of five books we can't wait to get lost in this summer. 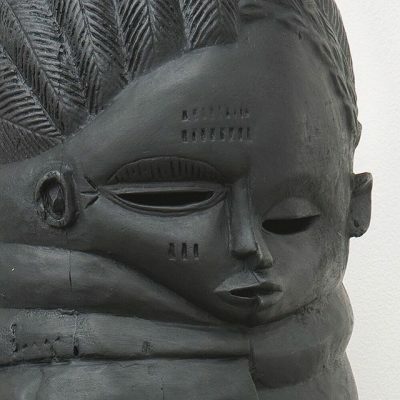 Drawing from his childhood experiences in Oṣogbo and professional life in urban Lagos, Wole combines classical Gelede masks with European imagery to explore themes about culture, prestige, race, and globalisation. "Take your time before any purchase. Do intense research before you decide on a piece. Do not let yourself be pressured by anyone. Even if this special item is sold by the time you have decided to go for it, there will be another piece." 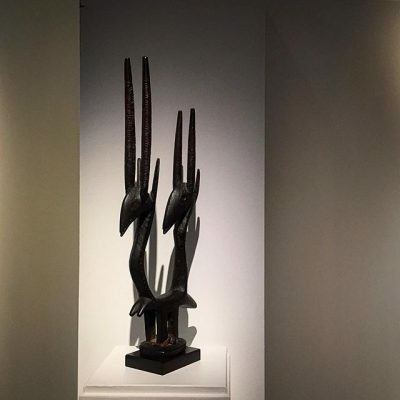 LACMA's ‘The Inner Eye: Vision and Transcendence in African Arts’ show is exhibiting 100 iconic African art objects that explore how the arts reflect cultural ideas of vision and visuality. 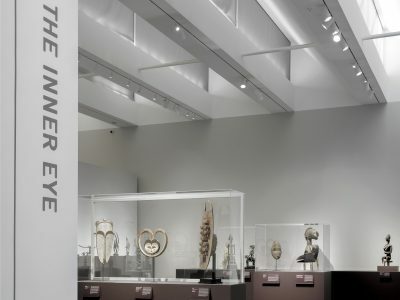 In a conversation with Dr. Polly Nooter Roberts, consulting curator of African art at LACMA, we discuss the theme behind the show, its star pieces, and her recommendations on how collectors can use their ‘inner eyes’. 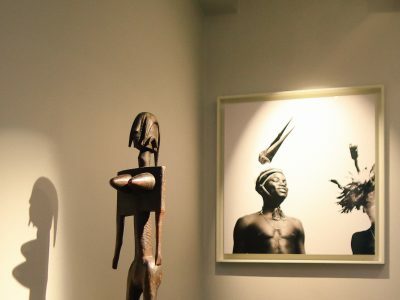 Parcours des Mondes has been instrumental in encouraging people to visit classic African art galleries in Paris. 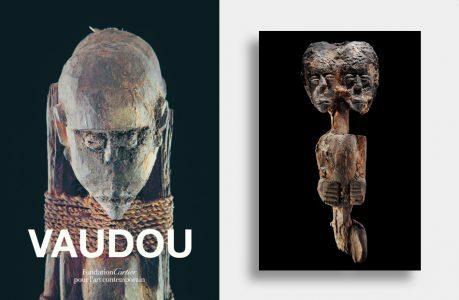 We joined this year's honorary president, Javier Peres, to discuss the three African art objects he views as highlights of Parcours des Mondes 2017, set to run from Tuesday 12 to Sunday 17th September. 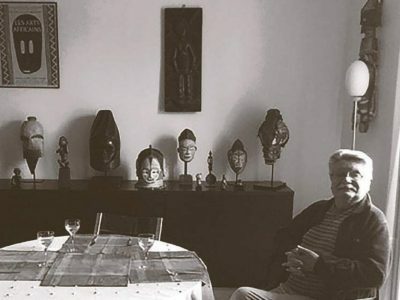 Anne-Catherine Kenis has a 30-year career in restoring and preserving classic African art. 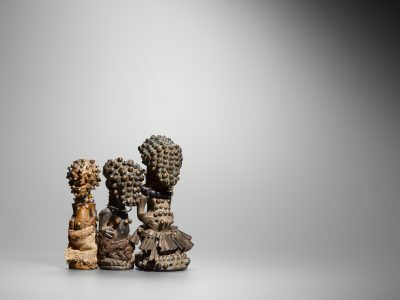 We speak to her to learn what collectors can do to maintain the integrity of their African art objects. "I like all spoons—East Africa, South, West. To me every culture has its own artistic vision of a spoon. The creativity is so appealing given that all a spoon needs is a handle and a bowl to make it functional. 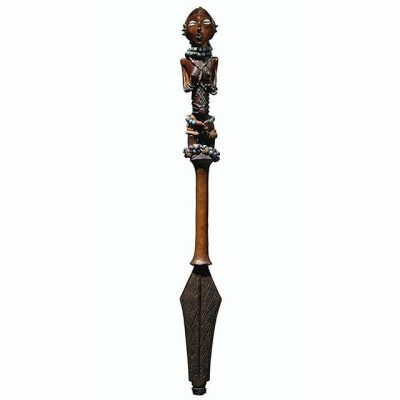 But African spoons go beyond the functional, a lot of thought goes into the carving." 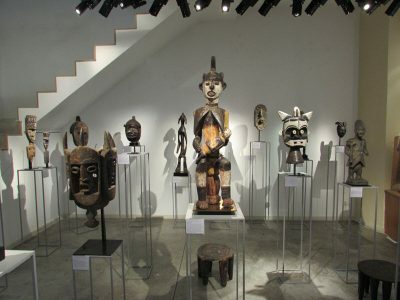 Founded by Michel Leveau in 1986, the Musée Dapper was opened in Paris with the mission 'to promote the traditional arts of sub-Saharan Africa'. 31 years later, it will permanently close its Europeans doors on June 18, 2017. We review the masterpieces that currently grace the exhibition floor of the museum. "In [the early] days a lot of objects were available on the market. There was a tremendous amount of material in galleries, in collections, at auction, in museums. It was much easier to be in contact with a variety of objects… it was a very open world. Collectors used to throw parties at the time of auctions. 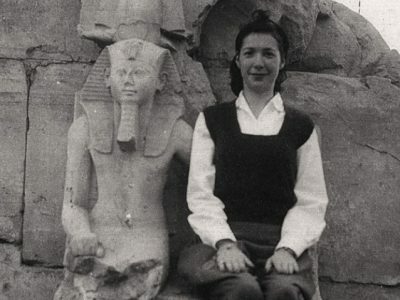 The parties were fantastic, great objects and great people." 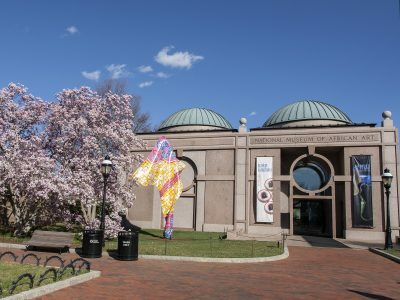 The Museum of Primitive Art was the first museum in the U.S. dedicated to art from Africa, Oceania, and the Americas. Now part of the Metropolitan Museum, 72 catalogues from past MPA exhibitions have been digitised and made available free online. 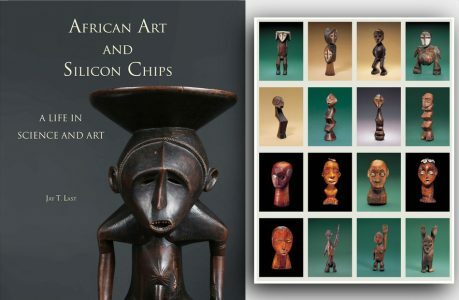 Here we highlight the catalogues of exhibitions featuring African art. 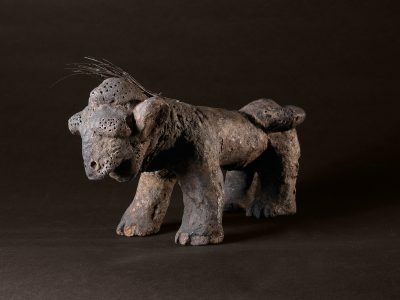 Sotheby’s will hold its annual African and Oceanic art auction in New York on May 15, 2017 and in Paris on 21 June 2017. 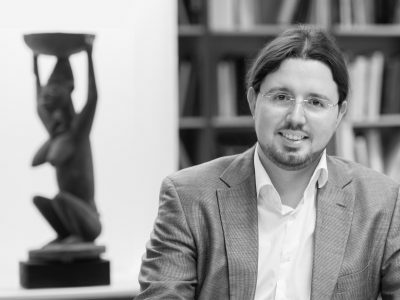 We spent time with Alexis Maggiar, International Specialist of African and Oceanic art and Director at Sotheby’s Paris and Brussels, to discuss the latest Sotheby’s exhibition of African, Oceanic, and contemporary art. 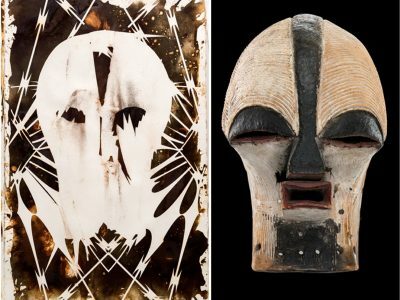 Self-taught artist, Marc Montaret creates contemporary interpretations of classic African sculptures and masks, in a bid to drive the rediscovery of ancient art forms. See how Marc exposes the relationship between the modern and the traditional. 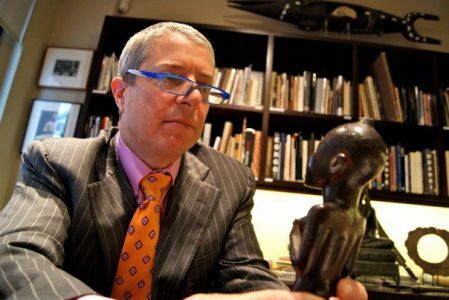 "I’m working to create the best collection of classic African art in the world." 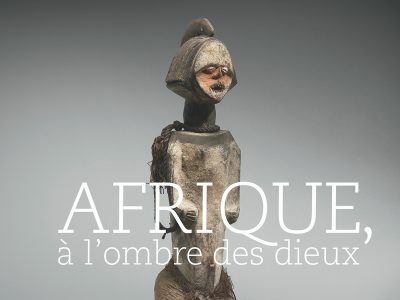 Christie's 2017 spring African art auction has shifted to April to align “with the rhythm of the market“—coinciding with the fourth edition of Paris Tribal, and the ‘Picasso Primitif’ exhibition at the Musée du Quai Branly-Jacques Chirac. View works from the Laprugne collection of the April sale. Photographer Jean-Claude Moschetti aims to capture the metaphysical realm that exists beyond our perceived reality. His series, 'Magic on earth', captures the masquerades of Sierra Leone, Benin, Guinea and Burkina Faso to highlight the coexistence of the supernatural and the mundane—to explore the visual and spiritual elements of masquerading in West Africa today. 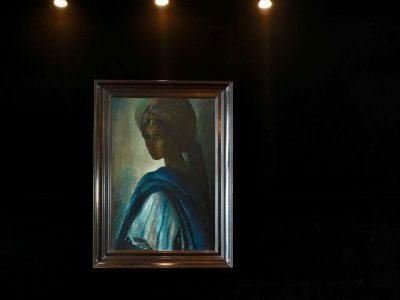 Christie's 2017 spring African art auction has shifted to April to align “with the rhythm of the market“—coinciding with the fourth edition of Paris Tribal, and the ‘Picasso Primitif’ exhibition at the Musée du Quai Branly-Jacques Chirac. 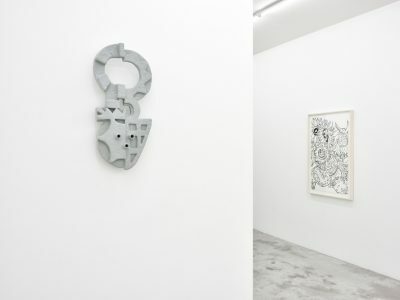 View works from the second part of the April sale that will no doubt be successes. 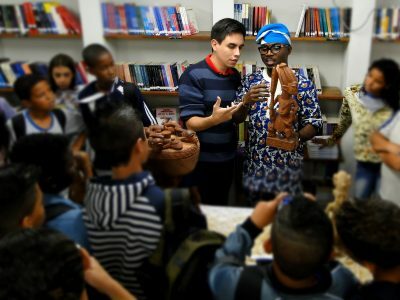 Adeniyi Olagunju wants his art to start a conversation—a conversation about how the raw materials we extract from the ground have taken precedence over more important things in our lives including culture, art and traditions. 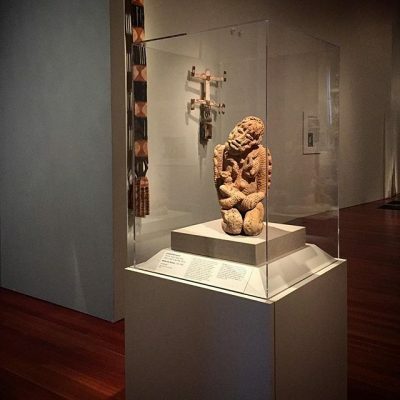 Read how Niyi’s work of bisected traditional African art questions this value system. "Work with respected dealers. It’s easy to be fooled by an object that looks authentic but isn't. 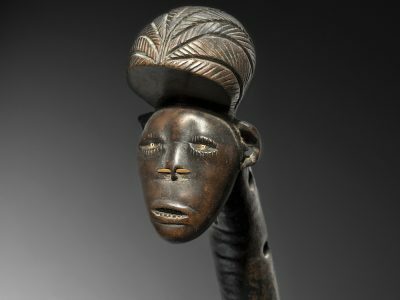 The world of African art is a fairly small community. Work with dealers that are open, transparent and willing to share information." 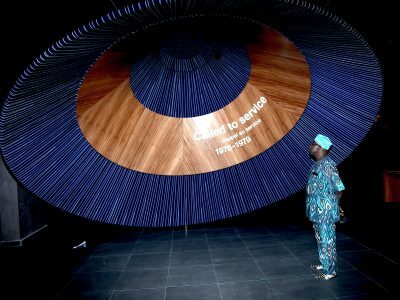 'Preserving the past, capturing the present and inspiring the future, with culture and tourism'—read how the Olusegun Obasanjo Presidential Library (OOPL) Foundation aims to preserve Nigeria's cultural and artistic heritage. 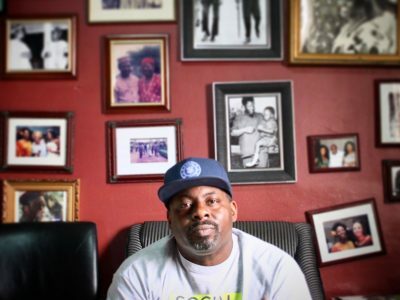 "Too many Africans have been defensive about being African. Our tradition and culture is not something we should throw away. 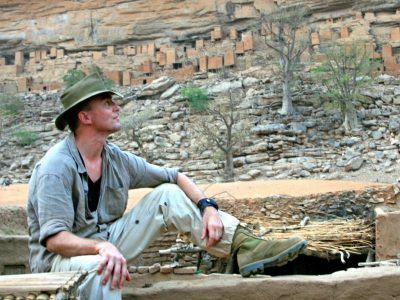 We live on top of, and in the middle of, incredible treasures—our culture and antiquities are priceless." 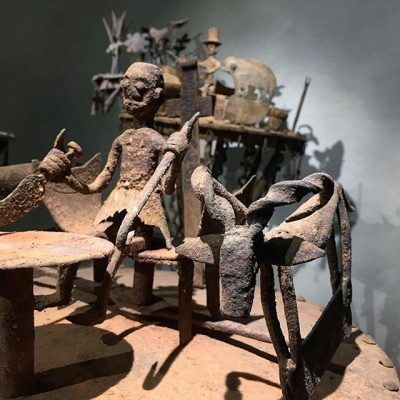 Influenced by his father's traditional African art collection, artist JK4REAL incorporates elements of Kongo and Yombe art into his concrete and iron sculptures. 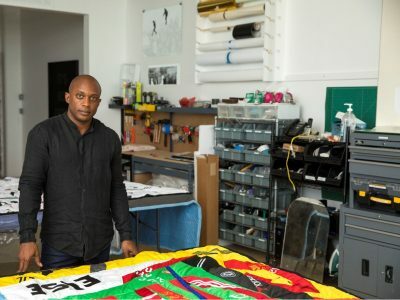 Read how JK4REAL hopes to drive meaning and interaction in today's contemporary art world. "Don’t be a hero, don’t look for something that no one has seen before. If it sounds too good to be true, it probably is. 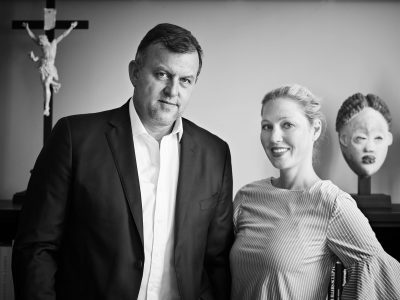 Collectors should try to avoid copies, fakes and mediocre examples." "Don't try to do it alone. Find people who will help you, mentor you, tutor you. Particularly other collectors. 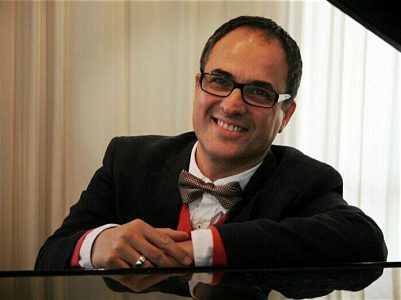 I have found that most collectors are very generous in sharing their passion and experience and eager to pass it on." 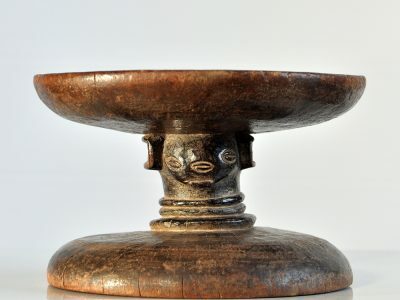 We review two masterpieces coming up for sale at the Christie’s and Millon Madeleine Meunier auction on 15 December 2016 — a Luba-Shankadi headrest and a Kuyu figure collected by Aristide Courtois and Charles Ratton. 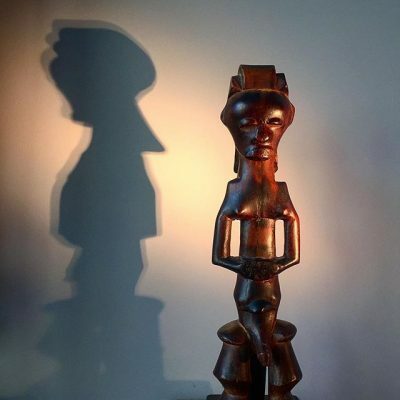 "A great deal of authentic African art was still coming from the continent when I started. 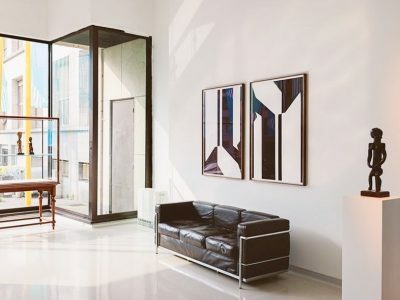 I experienced one region after another provide quality art and artefacts theretofore largely unknown to the market, appear and go into rapid decline." 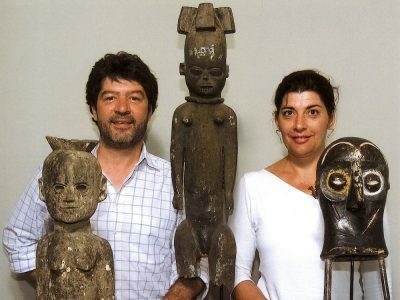 Near half a century later, Madeleine Meunier's incredible tribal art collection will be back on the market. 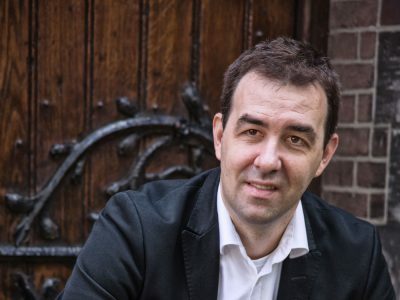 View Bruno Claessens' selection of historic pieces coming up for auction on 15 December 2016. 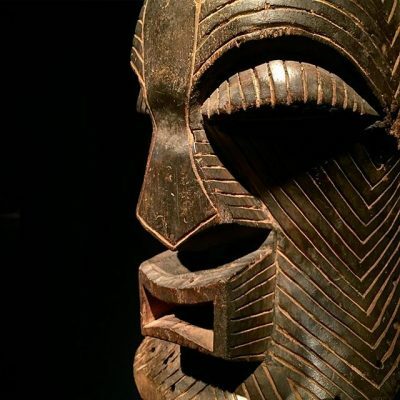 "The younger generation need to see African art integrated into timeless and stylish interiors - interiors that include and even highlight tribal art. We need to show that these ‘foreign objects’ can be incredibly beautiful and can add value to an interior." Art in situ brings meaning and life to static objects. 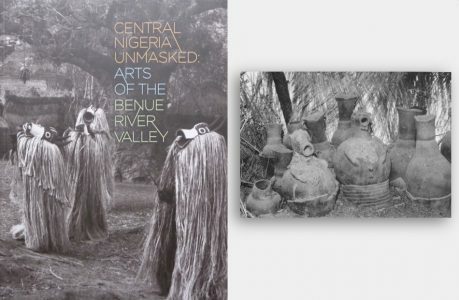 View the ceremonial masks of Cameroon in their natural settings in these field photographs. Victor Ehikhamenor, born in Edo State, Nigeria, is an award winning visual artist, writer and photographer. He draws influences from traditional African motifs and religious cosmology. 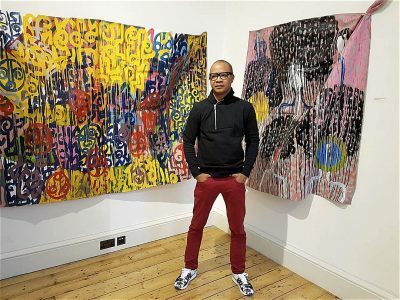 Read how classic African art influences his work. 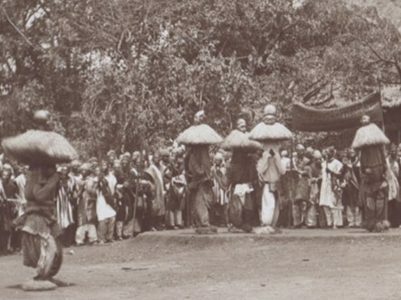 See the prestige arts of Cameroon come to life in their natural palatial settlings in this first set of field photographs. 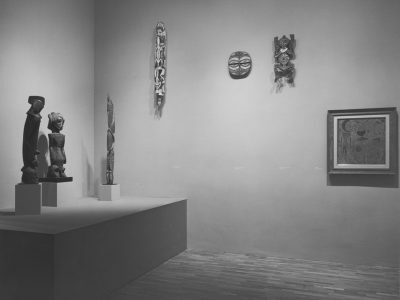 MoMA has made its entire exhibition archive, from its first exhibition in 1929 through to today, available online for free public viewing. Unlimited access of this magnitude is unprecedented. 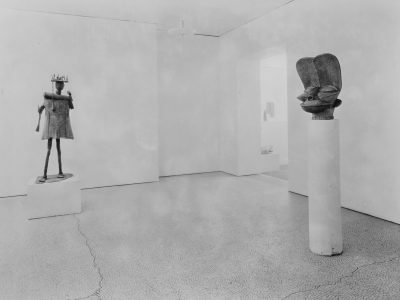 View the African art exhibitions within the online archive. The daddy of all tribal art fairs and now in its 15th year, Parcours des Mondes impressed and at times, left us speechless! See why by reliving the experience with us. 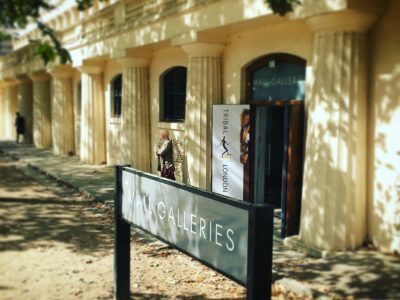 Kicking off the tribal art autumn season earlier this week was the only tribal art fair in the UK, Tribal Art London. See highlights from the fair. 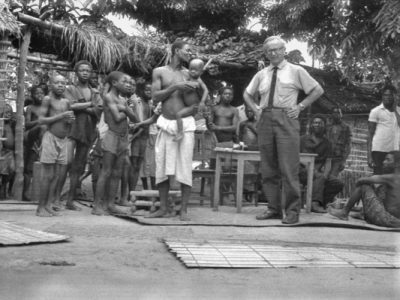 As you know, research is at the heart of ÌMỌ̀ DÁRA. 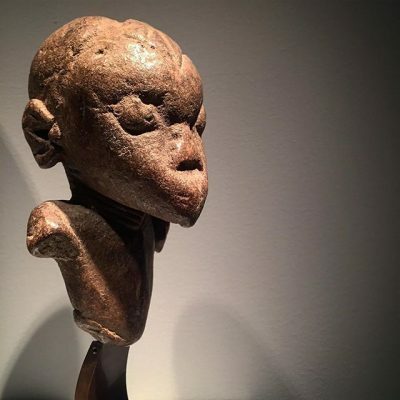 This month, we've curated a selection of resources to help you dig deeper into the history and variety of art objects found in African ethnic groups. 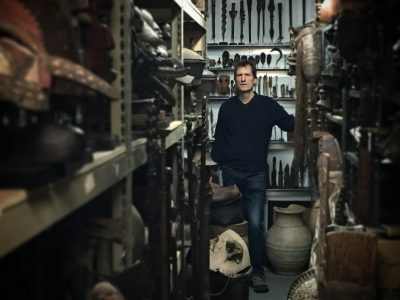 "For me it’s important that the objects I collect are used ritually; this is the special part of traditional African art. It has meaning, it’s not just beauty for beauty’s sake, it’s beauty for magic, power and expression." 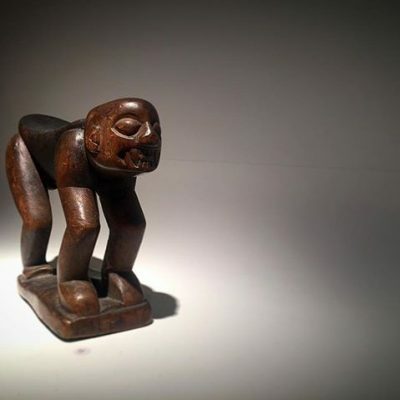 "Collecting should be fun but with tribal art it’s not always that easy, it’s a tricky business. I think every collection is highly personal, the result of aesthetic encounters... a collection is an articulation of the person’s identity and self-narrative." "Africa is huge and provides enormous variety. Specialising means that you gain massive amounts of knowledge about your very specific collecting field by comparing your discoveries and understanding the similarities and differences... in the end, most importantly, be a passionate collector, not a calculating buyer!" 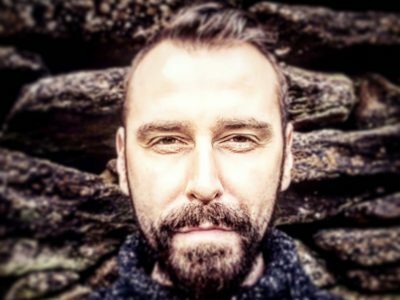 "Most important is to follow your passion... following your passion means finding out as much as possible, seeing as much as possible and touching as much as possible."